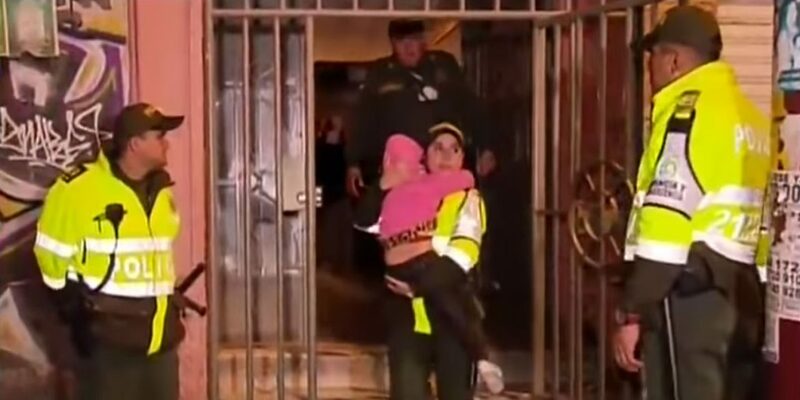 At least 90 minors have been rescued from child prostitution rings in Colombia’s capital Bogota, police said Thursday. The authorities busted at least 12 establishments, including bars and motels, that were sexually exploiting children in the Los Martires and Santa Fe districts. Half of the victims were Colombian and the other half were from other countries, mainly Venezuela. For the moment there are 45 children who will be handed over to the Colombian Family Welfare Institute, 21 of whom are female adolescents and 11 male adolescents. The Colombian children and minors will be surrendered to child welfare institute ICBF. Noticias Caracol reported that some of the children were found in unsanitary conditions in an apartment on the third floor with six rooms that smelled strongly of crack and marijuana, and that authorities were tipped off by residents who heard children who sounded to be of two or three years old calling for their parents and deployed surveillance for two months to bust the operation. Six people were detained and eight establishments were closed. According to the Colombia’s Prosecutor General’s Office, some 7,500 children have been reported to be victims of child exploitation in Colombian between 2013 and 2018. Child rights advocates have said that the number is far higher because of the high impunity rate in cases of child prostitution or human trafficking. The prosecution pledged to increase efforts on this front last year. Bogota security secretary Jairo Garcia also vowed continued action against child prostitution in Colombia’s capital. We cannot allow under any circumstances there to be signs of sexual exploitation in this sector, that’s why the verification processes will continue.